DragonFable is an Animated Web RPG! DragonFable is an fully animated role playing game built to run in your web browser. Build a character and explore our ever expanding world to battle monsters, find treasure, and participate in our ongoing epic storyline quests and special events. DragonFable allows you to walk around using your mouse and explore the world. The TV quality art is breathtaking and the combat is fast and furious. 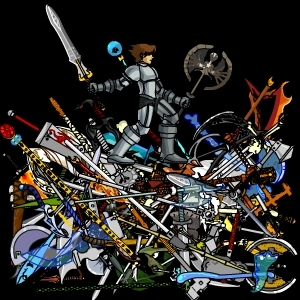 It is like someone mixed ArchKnight, AdventureQuest and a select choice of the best games ever created into a bowl and stirred it until it was perfect. DragonFable is in an ongoing perpetual development! Even as you read this new monsters are being made, new items crafted, and dungeons overflowing with horrible surprises are being designed to test your bravery and intellect. We listen carefully to player suggestions and feedback on the Forums making DragonFable's growth the result of our entire community! You need nothing more than your web browser and the latest Adobe Flash plugin to get into the action. DragonFable is a single-player game, but many quests will allow you to bring up to two of your friend's characters with you. 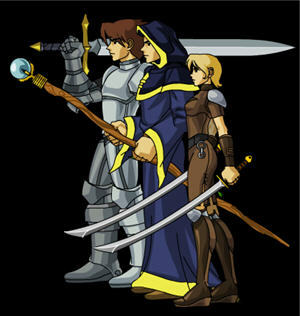 You will also be able to take a lot of in-game characters like Artix, Galanoth, Robina and Warlic with you. DragonFable's battle system allows you to fight extremely fast 3 vs 3 battles. You will gain new, special abilities as you level up and eventually unlock new character classes. Choosing the right friends to take with you on quests, and a little bit of strategy, will give you a huge advantage. DragonFable promises to be an ever expanding game offering new things as it grows into the biggest game on the web. Below is a list of the major features that are in development. NPCs and monsters you can play... almost ready! What are you waiting for? Create a new account and join us. Our world needs a hero like you!